Dan Slipper BBC, The Ouch! 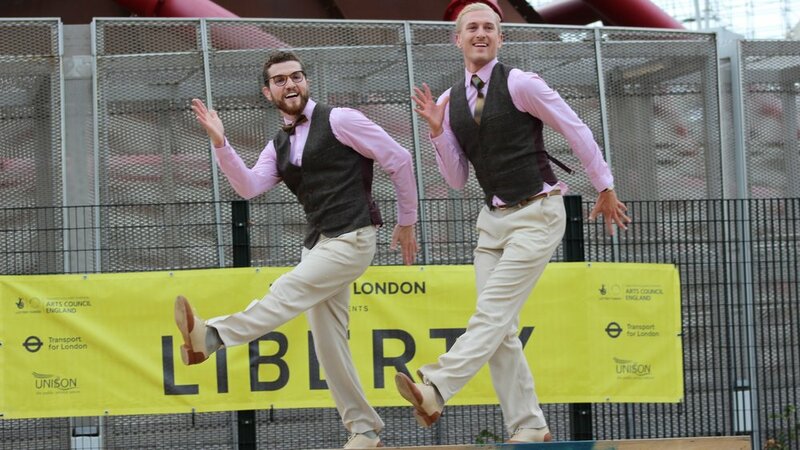 Deaf Men Dancing is led by Artistic Director, Mark Smith, a choreographer and Director. 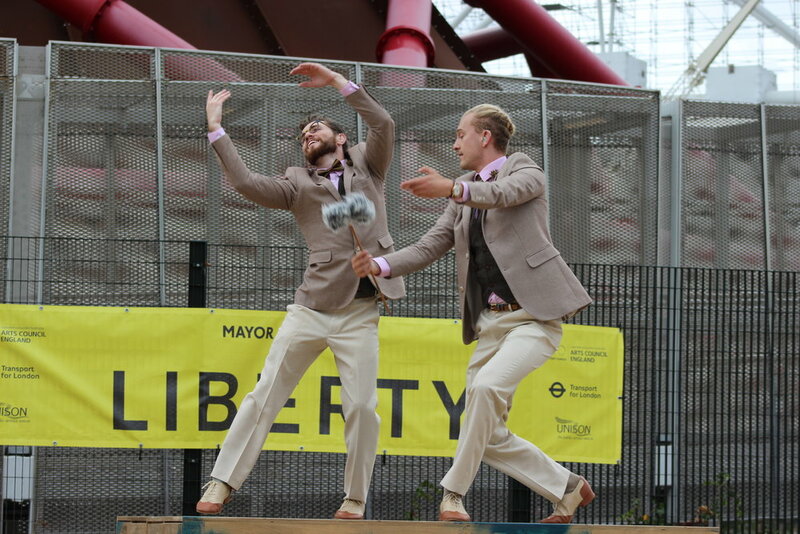 DMD is a collaboration of professional male dancers who, like Mark, are deaf. They have created and developed a fusion of different styles of dance with sign-language incorporated into choreography creating a unique, interesting and original aesthetic. 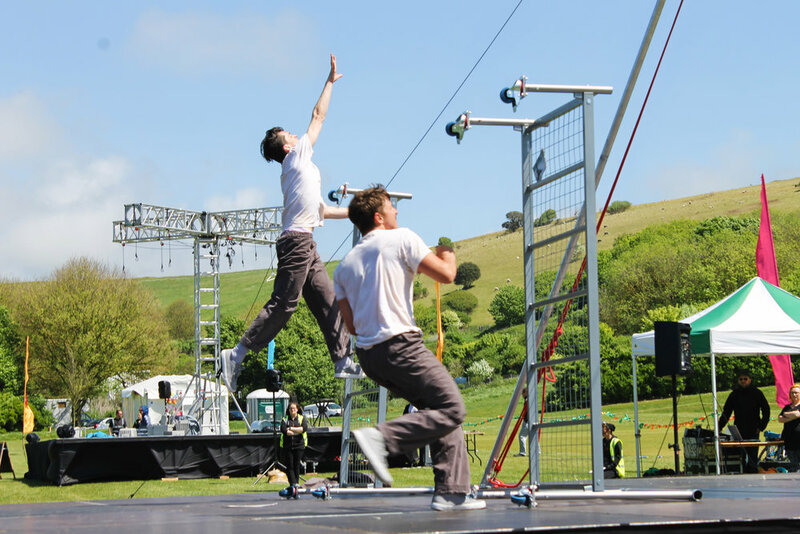 DMD have performed all over the UK and internationally including at Dance East, The Place, Sadler's Wells, The Clin De'Oeil Deaf Arts Festival in France, Tbilisi International Festival of Theatre in Georgia and in Dubai UEA. 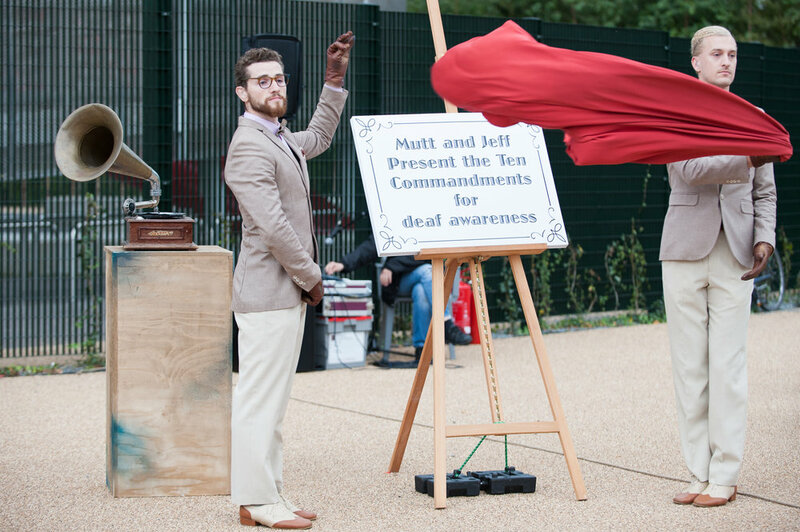 DMD have worked with companies such as DaDa Disability & Deaf Arts' 'Hands-On' and Candoco and have been commissioned and toured with the Without Walls outdoor arts circuit. 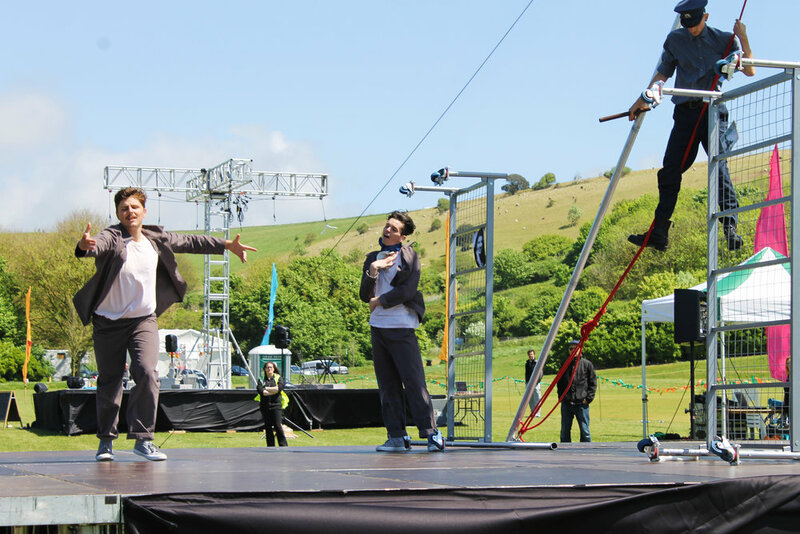 Mark and the DMD collective of performers regularly deliver workshops to people from all ages, walks of life and skill level in dance and choreography. We love to hear from new and old friends. If you'd like to get in touch with us, please fill out the form below and we will get back to you as soon as possible. Thank you! Why not follow us on Facebook, Twitter and Instagram to keep updated with the latest news?